As we discussed back in December, DC Comics is publishing a comic book that will pick up the Smallville TV series in print form. Smallville Season 11 is being written by one of the show’s writers, Bryan Q. Miller, and picks up six months after the series finale. The first issue will be released digitally on April 13th and will be released in print on May 16th, just a few days after the one-year anniversary of the last episode broadcast. 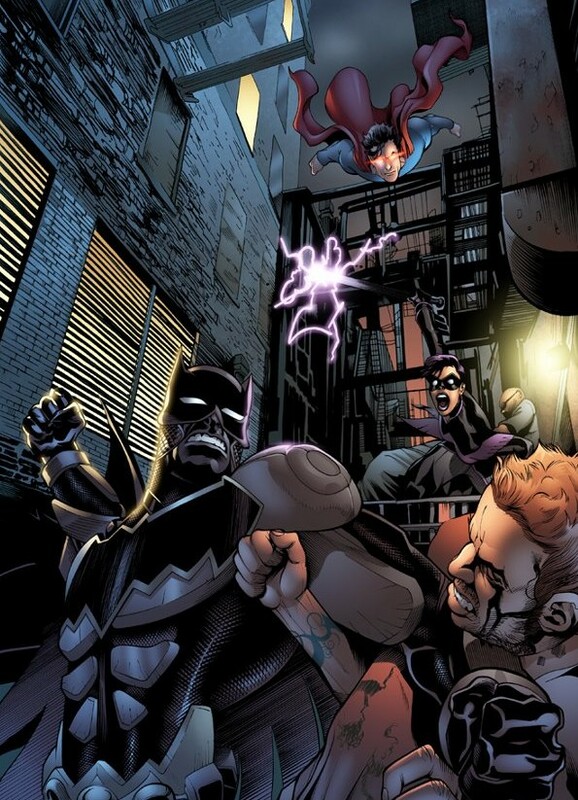 If the cover is any indication, it looks like fans will finally be able to get a good look at Clark in his super-suit. Smallville: The Complete Series is available on DVD now. What do you think? 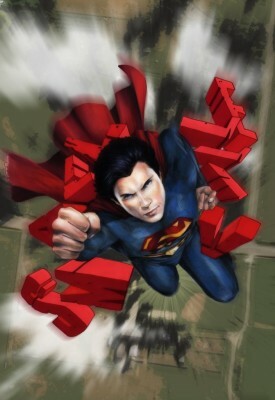 Will you be checking out the new Smallville comic? If so, will you purchase the digital or print version? I really loved watching smallville on did.Getting to know every character. In side out.Tom Welling who played Clark. Kent made it! !They should of made another one what happens when he gets married when he gets his superman suit. I agree with Grandizer. Personally I feel there were still a number of aspects left unanswered that could have been wrapped up in one more season and the whole CGI Superman bit left me somewhat disappointed. Oh and last comment, “While Season 10 had problems, I think it was more due to the writers wrapping up the series rather then telling stories at a different pace”, I couldn’t agree more. Again, one or two more seasons would have sufficed…just saying. I hope it proves to them that they should never have cancelled the series at that point in the story line. While Season 10 had problems, I think it was more due to the writers wrapping up the series rather then telling stories at a different pace. LOL, freaking cartoon books. What a joke and a poke in the eye to TV series fans. I’ll be passing on that thank you. BAH change that headline, You got my hopes way up only to dash them hard… this is a website about TV series, not comic books… so I assumed the best, and now I cry.